What Are the Benefits of Spirulina Tablets? Can You Take Spirulina in Addition to a Multivitamin? Spirulina is a type of blue-green algae. It is available dried or in pill form as a supplement. 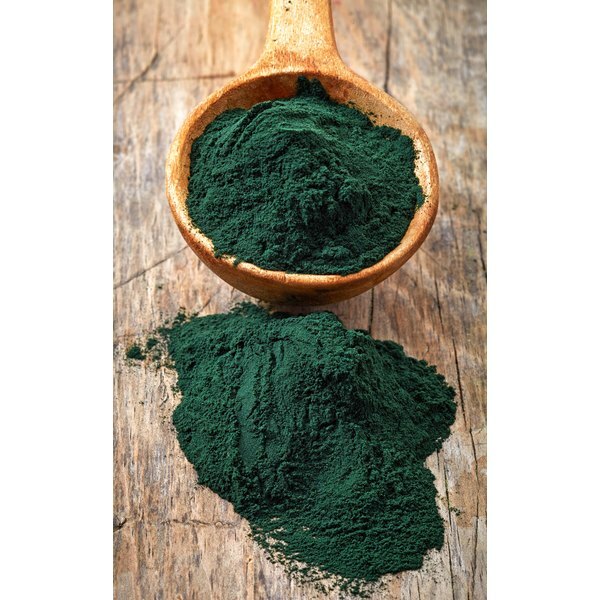 You can use dried spirulina as an add-on to smoothies or salads, or you can use it in meals and recipes. The FDA considers spirulina a supplement, not a drug, so there’s no strict control over its sale and use. If you want to add it to your regimen of health supplements and vitamins, talk to a health practitioner for advice. Spirulina is actually a good complement to a multivitamin because it provides certain nutrients you can’t get from a multivitamin. For example, spirulina provides eight essential amino acids, which you could get from meat or soy, but not from vitamins. Spirulina also provides gamma-linolenic acids, an omega-6 fatty acid not present in multivitamins. GLAs can help maintain bone health, protect your heart and may help reduce high blood pressure. Spirulina contains very high amounts of vitamin E and carotenoids. While too much vitamin A can be toxic, carotenoids are converted into vitamin A only as needed by the body. The body excretes any excesses, thus avoiding toxicity. Vitamin E toxicity is rare and only occurs with very large dosages of more than 1,000 mg per day over long periods of time. If your multivitamin also contains very large amounts of vitamin E, talk to your doctor about combining these supplements. If you have a sensitive stomach, you might experience stomach upset or heartburn after taking pills. If you combine several pills, such as a few spirulina tablets plus a multivitamin, you might worsen that effect. Iron is a likely culprit of stomach upset. Spirulina is already high in iron, so try switching to an iron-free multivitamin and see if that makes a difference.